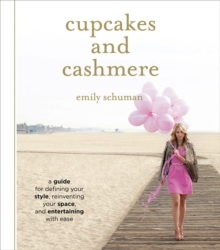 Cupcakes and Cashmere by Emily Schuman is a book based on her popular blog of the same name. Emily's philosophy is that readers can add flare and style to all aspects of their life and that doing so is easier than it may seem. Readers will find practical advice on making everyday and every space unique and inviting in a fashion that is both in vogue and playful. 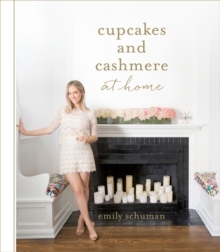 Organised by season, the book expands on Schuman's popular blog by incorporating style advice, entertaining ideas, decorating tips and easy, accessible recipes. Each season includes fashion tips, 01Y projects, party planning ideas, beauty how4os and seasonal recipes. All of the material is completely original for the book and have not been featured on the site in the past. Many of the ideas and projects are based on questions that Emily's loyal fans have asked throughout the years. With gorgeous colour photography Emily creates a lifestyle that is chic and achievable for every reader, making this the ultimate guide to style across all aspects of day to day life.